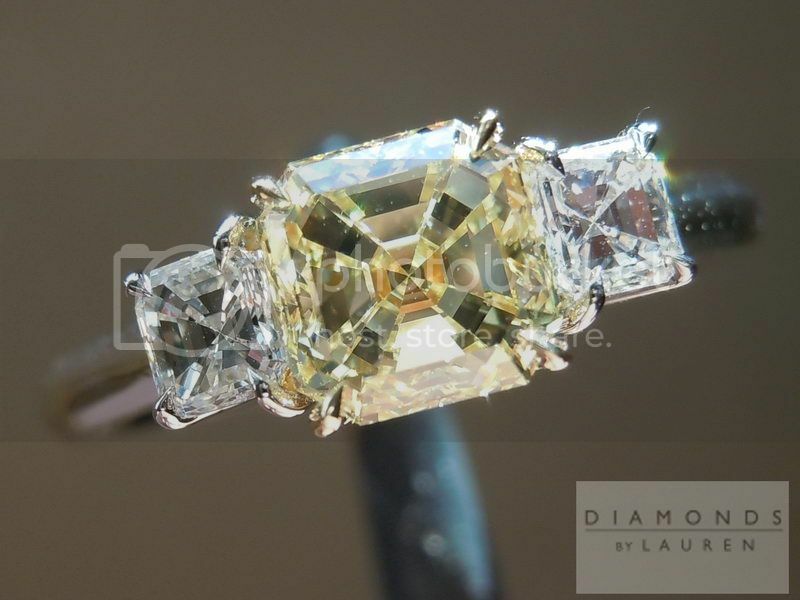 This is an amazing asscher cut diamond. 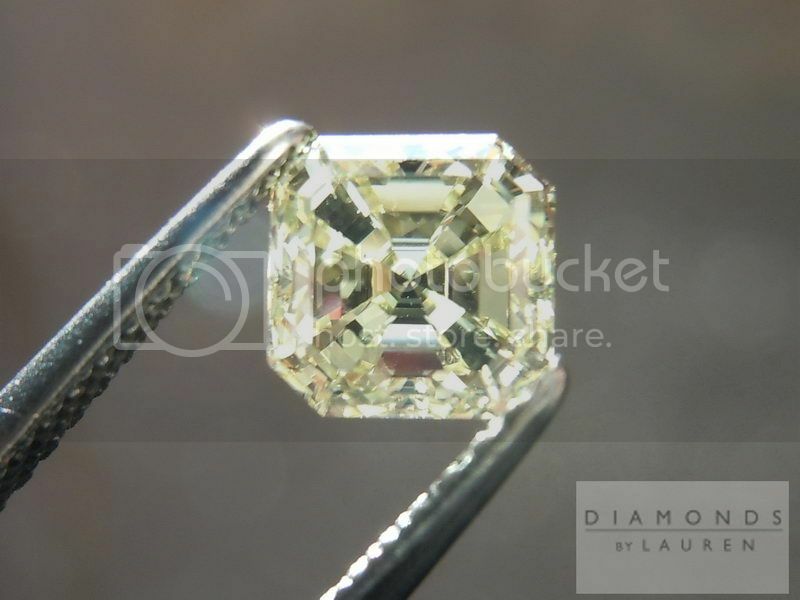 It is rare to find a gorgeous step cut diamond - such as this one - in a fancy color like Fancy Light Yellow. The color is a lovely shade of yellow that will look amazing once set. 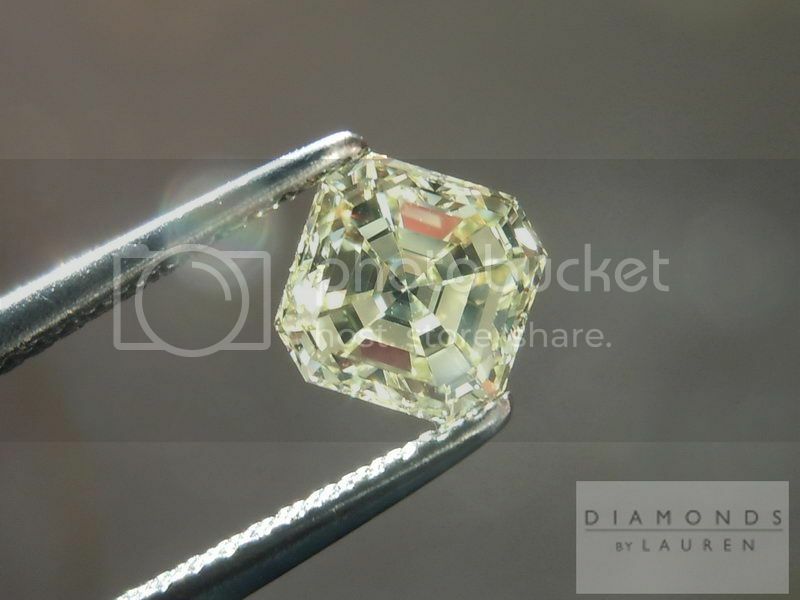 The clarity on this stone is a very clean VS1. The cut is excellent showing wonderful steps. 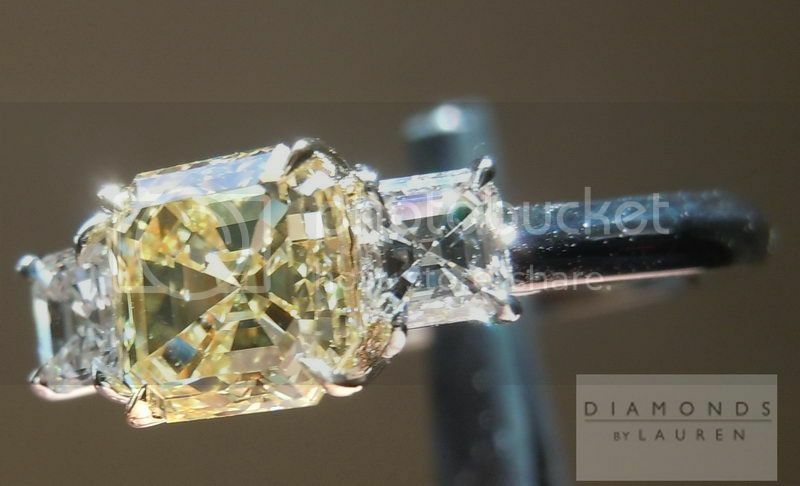 This diamond is a part of our trade up special. 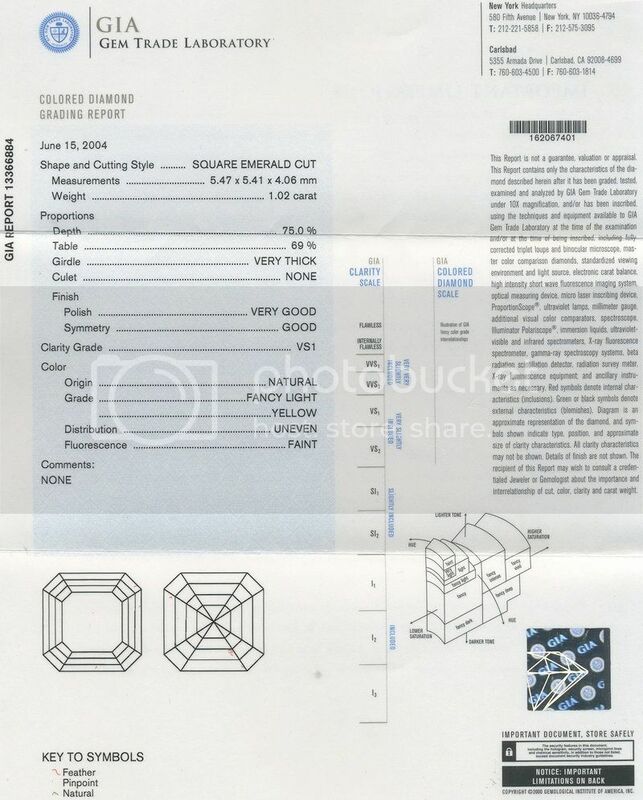 We are selling it at the price from 2005 giving you a great deal on a really stunning stone. This ring is from our high quality - but slightly less than Uber - shop. 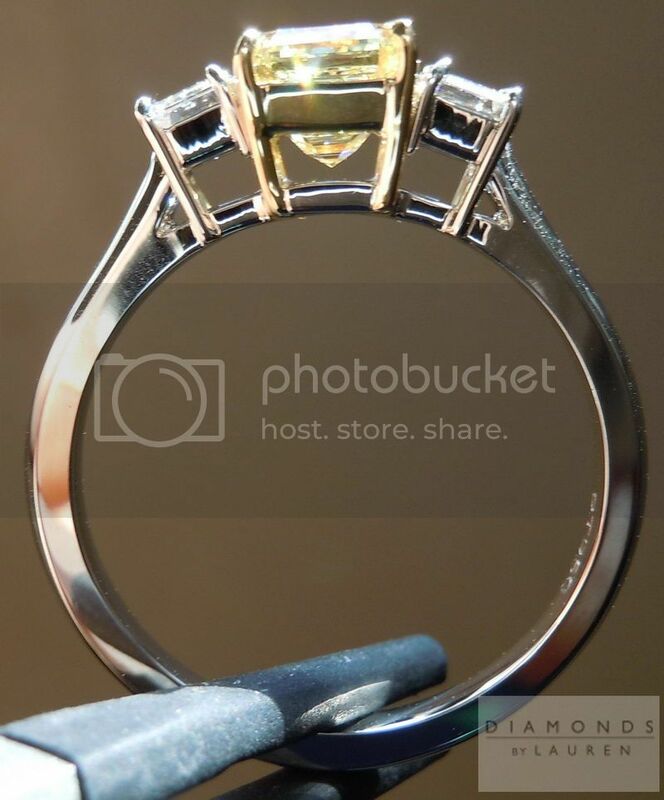 The close up photos show the care that went into the making of this ring. 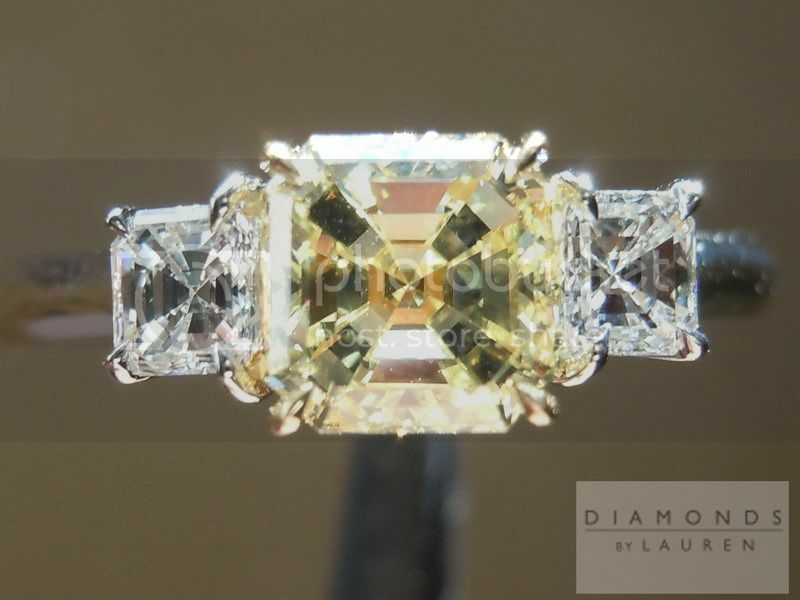 The three diamonds are held into place by lovely claw shaped prongs. The profile is beautiful while remaining strong enough for daily wear. 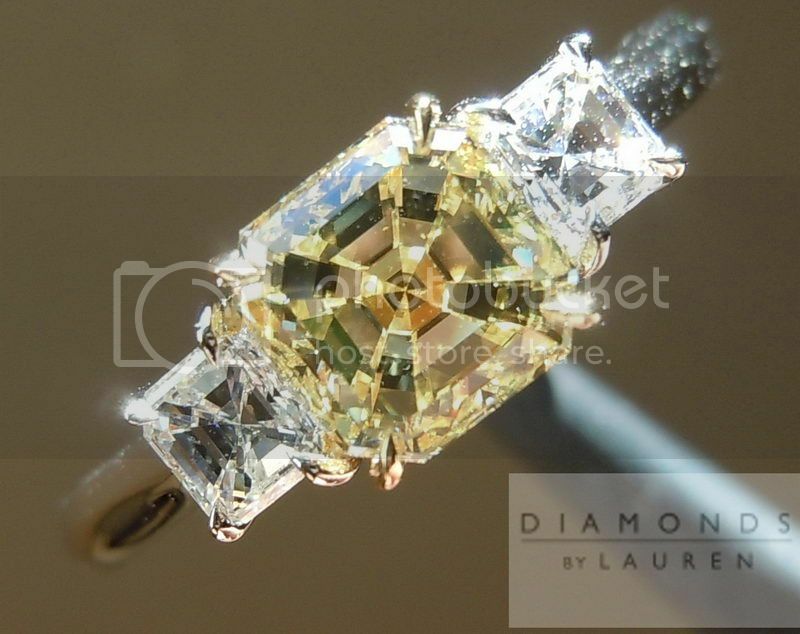 Flanked on either side of the Fancy Light Yellow asscher are two colorless asscher cut diamonds. 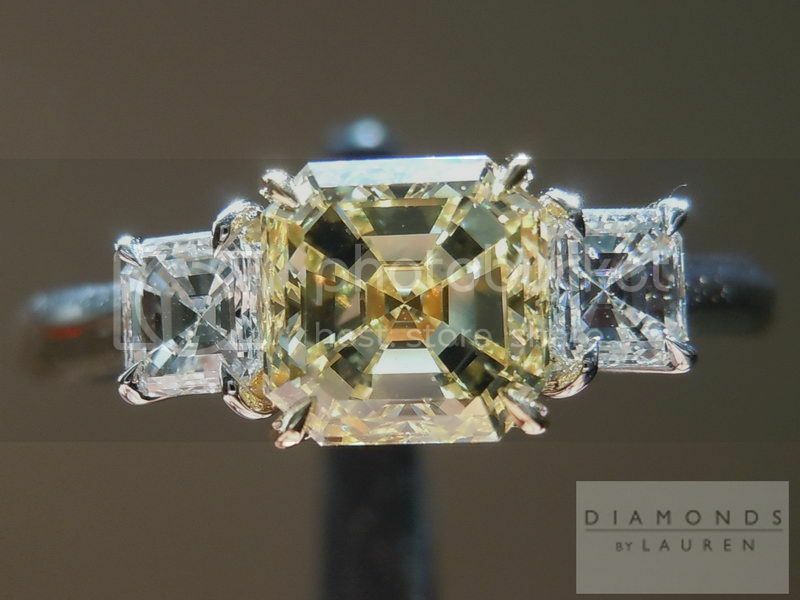 They are in perfect proportion to the center diamond and add a great contrast in color. They are both well cut - full of bold flashes of light and glitter.